Classes held at the Living Arts Centre.A not-for-profit organization.Founded in 1980. Run by a volunteer Board of Directors – members are welcome to attend meetings. An Annual General Meeting (AGM) is held in October Parents/Guardians are strongly urged to attend. Classes are held in the Dance Movement Studio at the Living Arts Centre, 4141 Living Arts Drive, Mississauga (beside Square One). Studio features sprung wood floors, ballet barres, mirrors and an acoustic piano. All classes accompanied by a Pianist. 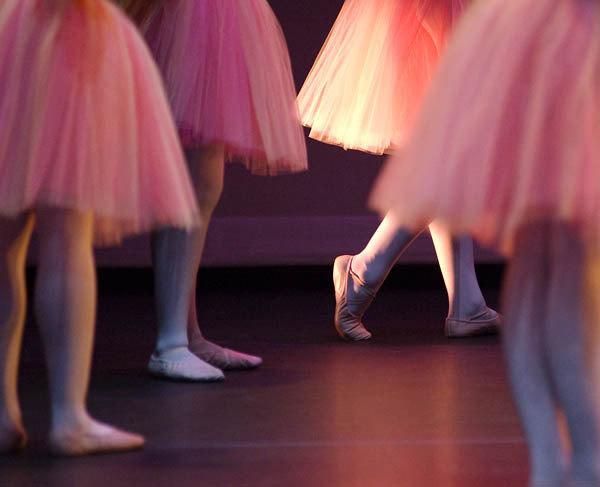 Dance classes available for girls ages 3 and up (K-Dance, Pre-Ballet & Classical Ballet). Pointe and Modern classes available for older students. Unique opportunities available to be involved in leadership training by assisting with younger classes. Dancers level KII and up participate in the Spring Production at Meadowvale Theatre in Mississauga. Parent volunteers allow for a “professional” production and safety for all. A costume wardrobe maintained by MBA is used for the Spring Production and Winter Open House. Philosophy of the School . . . Dance is Fun! The K-Dance, Pre-Ballet and Classical Ballet programs exist to provide students with a healthy, beneficial and enjoyable extra-curricular activity rather than to necessarily produce professional dancers. Each child will be encouraged to develop her talent to its fullest potential while benefiting from being a member of a group sharing a common love – dance.